Our course development services and software can help your business build, manage, and deliver specialized knowledge to your target audience, whether it's a customer or an employee. Don't settle for something generic out of the box. Offer a customized training experience that matches the level of expertise you provide in every other aspect of your business. 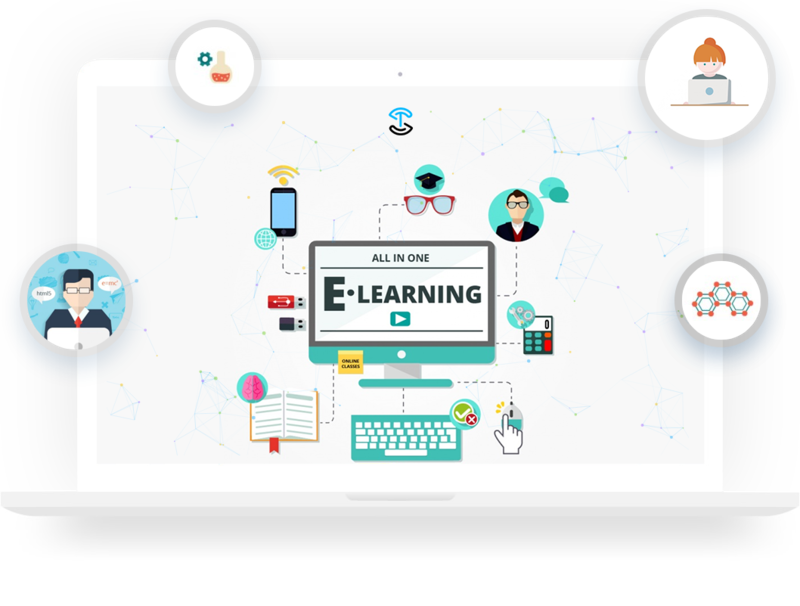 We're a group of people passionately dedicated to ongoing education, and we want to help you build your own online training program. Invest as little or as much input, time, effort, and subject matter knowledge as you want. We understand that you may not have the time or resources on hand to develop curriculum and content in-house. That's where we come in, and it's where we shine. We can provide that service. We’ll work with you every step of the way to realize your vision, and we’ll do it at little or no cost to you. If you partner with us, we'll provide the necessary online platform. You’ll be able to conduct large-scale training easily in an age when physical classrooms and conflicting schedules no longer meet the needs of individual students or employees. Our course delivery method can help you cut expenses by eliminating the need for instructors and classroom space. We'll work with you to put your personal touch and experience into every course we design. Then, we’ll train you on our software and get you ready to start signing up students. Become as involved in the building process as you want. We can consult with experts for all of it or just provide the finishing touches. We have the capacity to create courses as short or as long as you require. We offer a unique combination of text, images, audio, video, and even 3D animation to bring your courseware to life. We can also customize the look of our software to fit your brand and logo. 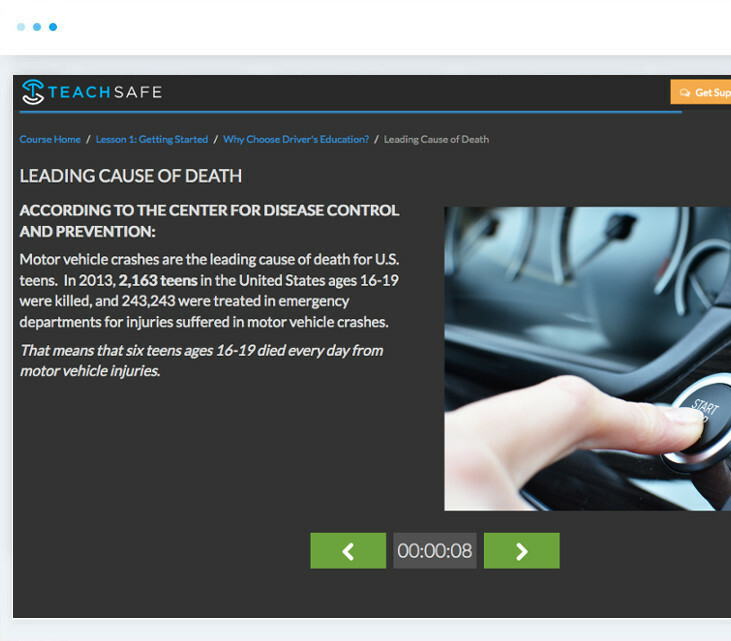 We can send notifications when a student completes or fails a lesson or an entire course. We can allow unlimited test tries or restrict students to a certain number before forcing them to take the lesson again. We can periodically verify a student’s identity throughout a course. We can control the time spent in a course section to prevent skipping ahead. We can also limit the number of lessons allowed per day and set the maximum days to complete a course before it expires. We offer some simple and flexible ways to sign up your students and get them going. 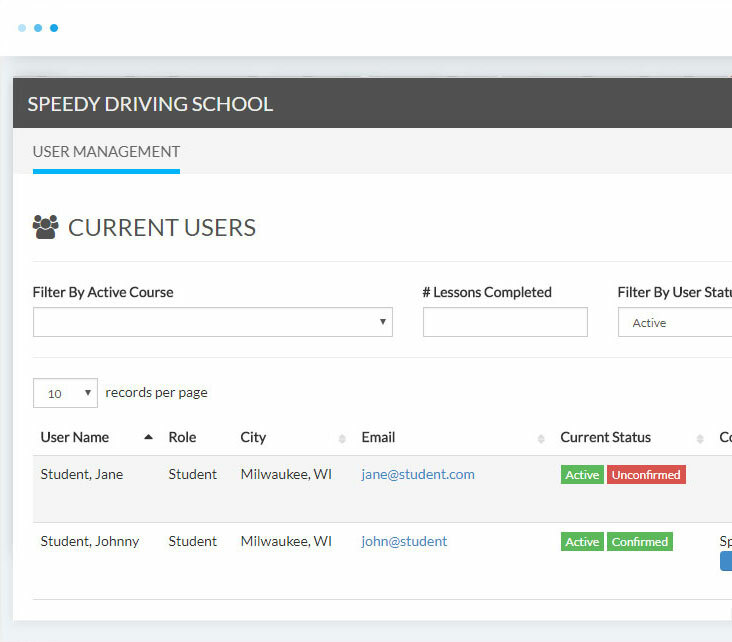 You can register students yourself with our easy user management tools. We can set up a special registration link allowing students to sign up for accounts and courses on their own. An option is also provided to accept their payment along the way. You can integrate your website or system with ours and register students behind-the-scenes via a simple API call. We start as low as $10.60 per course taken by a student, depending on the level of effort and complexity needed to design the course. Typically, we charge nothing for our course development services. Depending on the complexity of the course itself, we make every effort to offer the content FREE to you. As a rule, we only charge a per use fee when someone takes your course. No monthly commitment is expected. We charge per course taken and only after a course has been started. No annual contract is required. You may cancel any time. No limit on course size is set. We create courses as short as 1 hour or as long as 100+ hours.